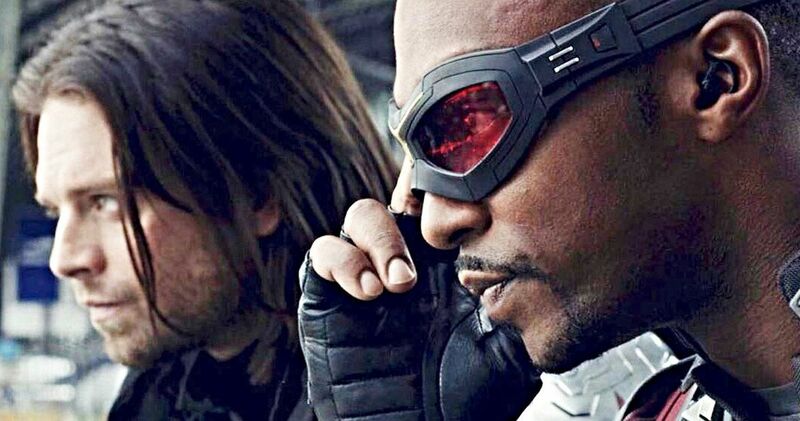 Falcon and Winter Soldier are teaming up for a new series on the Disney streaming service. It’s largely been promised that the Marvel Cinematic Universe as we know it is going to come to an end after Avengers 4 arrives next year. Certain characters we know and love are going to hang up their capes/armor/shields, or what have you. But it looks like Sam and Bucky are going to stick around for several episodes of their very own team-up TV series, with Kevin Feige producing. According to a new report, Marvel Studios has hired Malcolm Spellman (Empire) to write the currently untitled Falcon and Winter Soldier series. Marvel and Disney have yet to comment on the news, but this isn’t the first we’ve heard of major MCU characters getting their own shows on Disney’s streaming service, which is set to launch next year. Just last month we heard that characters like Loki and Scarlet Witch are on deck for shows as well. But this is the first of the proposed shows to actually lock down a writer, which is crucial and signifies it would likely be the first Marvel show we see on the streaming platform. There are several key differences between these upcoming shows and other previous Marvel shows, like the ones we’ve seen on Netflix. For one, they’re going to actually take actors from the big screen and put them in a show that will apparently have a budget comparable to that of a movie. Plus, Marvel Studios President Kevin Feige, who is largely credited with the success of the movies, is going to be directly involved, which is key. And these aren’t eyed as multi-season, ongoing shows. They’re being viewed as single-season, limited series. The lack of long-term commitment will likely make it easier for actors like Anthony Mackie and Sebastian Stan to sign up for such a thing. At the present time, no plot details for the show have been made available. However, we did get to see Bucky and Sam team up with one another in Captain America: Civil War, which was quite entertaining. They could make for a solid pairing. It also isn’t clear when this will take place in the timeline, but given that the Winter Soldier was hanging out in Wakanda up to and throughout Infinity War (not to mention the results of Thanos’ finger snap), one would have to assume this will take place after the events of Avengers 4. Also, Winter Solider has taken up the mantle White Wolf since arriving in Wakanda. We’re not sure how that will translate into the show. This news comes shortly after it was announced that Netflix and Marvel have canceled both Iron Fist and Luke Cage. Disney’s streaming service is seen as a direct competitor with Netflix and, even though those shows won’t be ported over to Disney’s service, it’s not surprising to see them canceled as most future Marvel properties, it would seem, will end up on the Disney service. We’ll be sure to keep you posted as any further details on the project are made available. This news was first reported by Variety.